Things should get interesting somewhere around the No. 3 pick in Thursday night's NFL draft. You know the deal. This draft took place Tuesday. Let’s do the damn thang. 1. Indianapolis Colts – Andrew Luck, QB, Stanford – The NFL told teams not to announce their picks in advance, so that’s just what the Colts did. In other news, Luck has already been sued. 2. Washington Redskins – Robert Griffin III, QB, Baylor – The Skins gave up a ton to move up to the No. 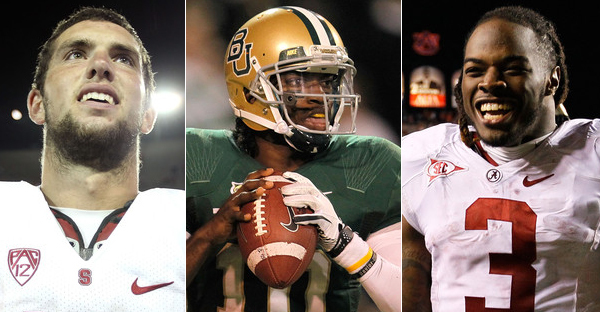 2 spot to grab the eclectic Heisman winner. The only question that remains is what number (3?) Griffin will be wearing Week 1. 3. Minnesota Vikings – Matt Kalil, T, USC – Lots of talk of the Vikings trading this pick away once the right offer presents itself. If they don’t, we think they’ll play it safe and pick up some protection for Christian Ponder, opting to wait until Round 2 to bulk up the secondary. 4. Cleveland Browns – Trent Richardson, RB, Alabama – Yi!’s resident Cleveland fan Brian Ruddock insists the Browns will trade down. They could swap with St. Louis and drop to No. 6. Regardless of who picks here, the best running back in the draft by a mile goes fourth overall. 5. Tampa Bay Bucs – Morris Claiborne, CB, LSU – The Vikings could get fancy at No. 3 and take this SEC stud, but if they don’t, count on the Bucs making Claiborne the first draft selection under the rule of new coach Greg Schiano. 6. St. Louis Rams – Justin Blackmon, WR, Oklahoma State – The Rams are sticking with Sam Bradford. It would be nice if he had someone to throw to this year. 7. Jacksonville Jaguars – Melvin Ingram, DE, South Carolina – If the consensus “top 6” are all off the board, the Jags will have plenty of options and could certainly trade down. Whether it’s them or someone else picking here, we’re feeling Ingram will be the selection. 8. Miami Dolphins – Ryan Tannehill, QB, Texas A&M – Owner Stephen Ross failed to make a splash with his head coaching hire or in free agency. The Fins reach a bit to grab a quarterback with potential, even if Tannehill is the Chris Bosh of this year’s Big 3 QBs. 9. Carolina Panthers – Fletcher Cox, DT, Mississippi State – The Cats have a bunch of needs, but this is probably their biggest. The versatile defensive force would be a solid addition for Cam Newton and Co.
10. Buffalo Bills – Riley Reiff, OT, Iowa – The Bills could continue to bulk up their defense or even pair wide receiver Michael Floyd with Stevie Johnson. But improving their protection is key, even though Reiff might have to start on the right side of the offensive line. 11. Kansas City Chiefs – David DeCastro, G, Stanford – The Chiefs could go in a number of directions, and it will surely be tempting to consider pairing strong safety Mark Barron with Eric Berry. DeCastro is the option if they want to play it safe. 12. Seattle Seahawks – Luke Kuechly, ILB, BC – The Seahawks fill a need at linebacker, and at a great value. 13. Arizona Cardinals – Jonathan Martin, T, Stanford – Larry Fitzgerald would love another wide receiver to open up some space for him, but Kevin Kolb would really love to avoid another concussion. The Cards recognize this and take the best offensive lineman on the board. 14. Dallas Cowboys – Mark Barron, SS, Arkansas – The Cowboys secondary was shakier than Tony Romo playing Operation last year. Late reports suggested there was no way Barron will fall to Dallas at No. 14. I guess we will find out Thursday night. 15. Philadelphia Eagles – Chandler Jones, DE, Syracuse – Given their success drafting players out of ‘Cuse in the past, the Eagles go all-in on trying to find the next Jason Pierre-Paul. 16. New York Jets – Courtney Upshaw, DE/OLB, Alabama – Not the most talented player left, but he fits the 3-4 well and can help on the defensive line. He can also help fill in for Bart Scott, who is older and angrier than Clint Eastwood. 17. Cincinnati Bengals – Dre Kirkpatrick, CB, Alabama – Marijuana charges (since dropped)? Sign us up! The Bengals thank the Raiders for the extra pick and add a much needed piece to their secondary. 18. San Diego Chargers – Cordy Glenn, T, Georgia – The Chargers need to protect Phil Rivers so he can continue to yell at his teammates. 19. Chicago Bears – Michael Floyd, WR, Notre Dame – The Bears are both elated that the Fighting Irish receiver falls to them and immediately pissed they traded for Brandon Marshall. 20. Tennessee Titans – Stephen Gilmore, CB, South Carolina – After losing Andre Johnson’s punching bag, Cortland Finnegan, to free agency, the Titans grab a replacement. 21. Cincinnati Bengals – Quinton Coples, DE, North Carolina – Given the relative security of Kirkpatrick, Cincy takes a chance on the high-risk, high-reward on the pass rusher out of Chapel Hill. 22. Cleveland Browns – Kendall Wright, WR, Baylor – Assuming the Browns don’t trade down and grab Blackmon, they take Wright to improve a wide receiver corps that wouldn’t have any starters on the Dillon Panthers. 23. Detroit Lions – Whitney Mercilus, DE, Illinois – The Lions continue their recent trend of bulking up their defense, and Whitney is utterly mercy-less as he joins Ndamukong Suh in stomping on offensive linemen for many Thanksgivings to come. 24. Pittsburgh Steelers – Dont’a Hightower, ILB, Alabama – Is it ominous that the Steelers are choosing between two players whose names start with “Dont”? Hightower is chosen over the upside but question marks of Memphis defensive tackle Dontari Poe. The Steelers love them some linebackers, especially ones who get fined a lot. 25. Denver Broncos – Michael Brockers, DT, LSU – In choosing between Brockers and Poe, the Broncos opt for the one who played best when the lights were brightest. 26. Houston Texans – Stephen Hill, WR, Georgia Tech – Though tempted to replace Mario Williams, the Texans remember they did alright without him last season. They opt for the speedy receiver who can open things up for Andre Johnson, Owen Daniels and Arian Foster out of the backfield. 27. New England Patriots – Shea McClellin, DE, Boise State – It wouldn’t shock anyone to see the Patriots trade down, but we think they’re more likely to do that with the No. 31 pick. After Bill Belichick briefly flirts with Coby Fleener and thoughts of a 3-TE offense, he remembers the Pats’ inability to rush the quarterback and chooses to address that instead. 28. Green Bay Packers – Nick Perry, DE, USC – The Packers hope to improve their pass rush so opposing quarterbacks won’t be able to do their own Aaron Rodgers impressions every Sunday. 29. Baltimore Ravens – Dontari Poe, DT, Memhpis – Nevermore! After years of having the franchise’s literary ties distorted by Michael Oher and Michael Lewis, the Ravens restore some order, grabbing this Poe so their fans don’t have to deal with that other one. 30. San Francisco 49ers – Rueben Randle, WR, LSU – With a stout defense, the Niners grab Randle to help the passing game. After all, Randy Moss is still a huge question mark and Michael Crabtree is in hiding from Gregg Williams. 31. New England Patriots – Harrison Smith, FS, Notre Dame – The Pats originally planned on trading down, but when Smith falls to them, they decide to stay put and grab him. Anything that might help avoid using Julian Edelman in the secondary again this year. 32. New York Giants – Coby Fleener, TE, Stanford – Jerry Reese almost always grabs the best available, and Fleener may not be here. An offensive line upgrade would be nice, but with Jake Ballard and Travis Beckum rehabbing knee injuries and Martellius Bennett still an unproven starter, the Giants grab the athletic tight end. The 2012 NFL Schedule was released this week with much fanfare. The event caused analysts to make predictions about team’s records and outlooks, even though the identity of everyone’s opponents has been known since the regular season ended. The only new information is the order of games and times they will be played. In addition to basing opinions off of whether lights and Al Michaels are involved in a particular game, these predictions also act as if parity in the NFL is a myth— like unicorns or global warming or the iPhone 5. Did you not see what the Giants did to the Cowgirls twice late last season? The Cowboys were the fuel to the Giants’ Super Bowl run. And on opening night, with a pregame concert in Times Square by Bon Jovi — whether or not the NFL asks them to play— and a celebration of the SUPER BOWL CHAMPIONSHIP, Tony Romo may want to call out sick. Former Rutgers coach Greg Schiano returns to New Jersey! I’m sure the Newark Star-Ledger will have 57 feature stories leading up to this game, but when a relatively unaccomplished college coach takes over for a fired unaccomplished pro coach, that’s a sign a team is in disarray. This game won’t be close. Only four days to prepare for Cam Newton! Look, Cam was great as a rookie and all, but do you know who was better? Jason Pierre-Paul. I suppose Cam could just run the other way, but then he’d meet Justin Tuck or Osi Umenyiora. Cam’s dad may want to wager some of that under-the-table Auburn money on the G-Men for this one. By Week 4, I don’t expect Michael Vick to be hurt yet, but I do expect Andy Reid to be the ire of Philly talk radio. The golden age of Philadelphia sports is ending. The Phillies are older than Betty White, the Sixers blew their chance to avoid Miami or Chicago in the first round of the playoffs, and America doesn’t care about hockey, and thus the Flyers. I don’t care if the Eagles finished hot to end last season. Do you know who finished hotter? The SUPER BOWL CHAMPIONS. With all due respect to Yi! News’s libertarian contributor Brian Ruddock, there’s a better chance Drew Carey leads the Indians to the World Series than the Giants losing this game. I’m more scared of Mike Holmgren’s mustache than I am of Brandon Weeden. A rematch of the very close NFC Championship Game. This one has added tension since the Niners employed the old saying, “If you can’t beat ‘em, take their backups,” and signed Super Bowl hero Mario Manningham and frustrating bigmouth Brandon Jacobs. They also added Randy Moss, who I think plays for the Phillies right now. While Jim Harbaugh is crazy and unpredictable, thanks to the released Gregg Williams audiotape, the Giants will know exactly where to attack San Francisco! The Redskin did beat the Giants twice last season, but that was with the unbeatable football legend that is Rex Grossman. With the even less athletic Robert Griffin III at quarterback, the Giants will have no issues with this mediocre team. A rookie? Just forfeit, Shanahan. These clowns again? The Giants haven’t lost in Jerry’s House. Notice that I did not include “yet” at the end of the previous sentence. There’s a lot on the line in this one, as the Maras battle the Rooneys to see which grandparents the Girl with the Dragon Tattoo considers her favorites. I’ll point out there is an Ikea (the Wal-Mart of Sweden) off the New Jersey Turnpike. Advantage: Giants. Also, Eli Manning’s Southern genteel classiness will outshine the dastardly villain that is Ben Roethlisberger. Am I supposed to be worried about Andy Dalton? The man has no soul, people. Lest the Giants lose their winning ways, I am certain that during their off week, Victor Cruz and Hakeem Nicks will win a two-on-two ping-pong tournament, Antrel Rolle will defeat every child that challenges him to the sample XBOX at Best Buy and Tom Coughlin will defeat himself in Solitaire. It will be beneficial for the Giants to have an extra week to prepare for the Packers, because it will give them the chance to integrate Knicks forward Steve Novak into the defense, so when he sacks Aaron Rodgers and does the Discount Double-Check celebration, it will feel natural and deserved. The Giants’ only Monday Night game comes too late in the season, as I will have already decided who on the team is “a football player,” and thus Jon Gruden will be of no use to me. Of no use to the Redskins: trying. I wish Bill Parcells were coaching the Saints for this game. As much as I love the Big Tuna, I think he deserves one last dash of punishment for agreeing to coach those awful Cowboys. This game would worry me, except that Sean Payton has to watch it in solitary confinement, some defensive players may soon be suspended and Drew Brees has yet to sign his contract tender. JAMBABLOWOUT! The Falcons “scored” two points against the Giants in the divisional round of the playoffs. They were the result of a tackle in the end zone for a safety. They were not the result of Matt Ryan resembling anything close to a good quarterback. A rematch of that Super Bowl where Trent Dilfer won. If Ray Lewis hasn’t ripped off Joe Flacco’s fu manchu by this point, I hope the Giants let Lawrence Taylor do it in a pregame ceremony. Consider it his community service. Ray Rice is obviously very good, but back in New Jersey, he will be unable to overcome his urge to visit the Grease Trucks at his alma mater Rutgers, have three Fat Darrels, and will be otherwise immobile for the game’s entirety. Was it not two seasons ago late in the season when Matt Dodge became Public Enemy No. 1 and DeSean Jackson crushed my hopes and dreams with that absurd punt return? Well Matt Dodge is gone. In is Steve Weatherford: workout fiend, potty mouth celebrator and Tweeter of Eli’s hairdo. Bring it on. 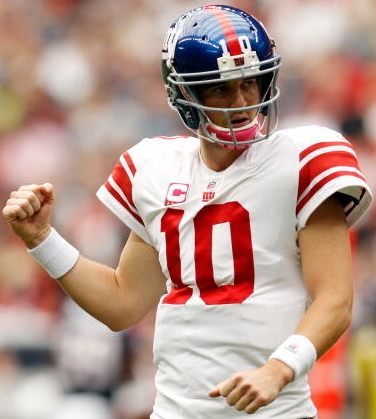 Unlike the Patriots, the Giants will finish the job and go 19-0, winning their second consecutive SUPER BOWL. It’s already been well-chronicled that Eli Manning owns Tom Brady’s soul (see: Super Bowls, 42 and 46). The Giants won’t miss a chance to once again remind everyone who is superior. If you can’t beat them, trade for them. That’s the mentality of the New York Jets front office and coaching staff these days. On Thursday, the New York Jets acquired, then un-acquired, and finally re-acquired the most-hyped back-up quarterback in the history of the NFL. Tim Tebow may have been one of the greatest college quarterbacks of all-time, but critics have always questioned whether or not his talent translates to the professional level. Never in the short 25 years that I have been on this earth has a trade including a back-up quarterback and a mid-round draft pick gotten so much attention. The Jets even held a press conference yesterday to introduce their new backup acquisition. A press conference for a backup quarterback? Yes, you heard it correctly. So let’s forget the off-the-field publicity that this trade will garner over the next few weeks and instead focus on the football aspects of the transaction. In order to break down the trade fairly, one must look at both its positives and negatives. We will start with the bad news first, because Tebow would want it that way. New York is a tough place to be a professional athlete – no one is disputing that. With every win, you can be praised like a god. With every loss, you can feel like the most hated person on the planet – or at least the tri-state area. Heck, at one point New Yorkers were calling for Eli’s head. Now the man is an elite quarterback with two Super Bowl rings. Mark Sanchez has felt the highs and lows of New York City’s media and fans. Sanchez’s confidence has been in question since his rookie year, and having the fan-favorite Tebow breathing down his neck will do nothing but exacerbate that problem. That’s the reason why Mark Brunell has been the backup for the past two seasons – to let Sanchez know that no matter how much he struggles, he will still be the starting quarterback. Now, the Jets bring in a young quarterback with his own fan-base waiting (eager?) for Sanchez to make mistakes. Sanchez, who notably has helped lead to Jets to two AFC title games in three seasons, cannot be too pleased with the team’s decision to add Tebow. What star likes to see billboards of his understudy up around Manhattan? Bringing in Tebow hopefully will make Sanchez rise to the occasion and prove his doubters wrong. But if he doesn’t, Tebow will be waiting. A backup quarterback should be able to make the easy throws, seven-yard slants and five-yard button hooks to name a few. No throw is easy for Tebow. A quarterback should be able to throw the football consistently enough to complete passes of short distances. Tebow cannot. A quarterback should be able to look off-defenders and complete passes to his second option. Tebow does not do that well. These are just basic quarterback skills that one should have. In this respect, I think Tebow is currently incapable. It does not mean that he will be unable to develop these skills in the future, but at the moment, his throwing skills are grim. Just take a look at Tebow’s statistics from last season. He completed 46.5 percent of his passes. Sanchez, who has been maligned for his lack of accuracy, completed 10 percent more of his passes than Tebow last year. Most believe a quarterback shows his worth inside the opponent’s 20-yard line, where passing accuracy is of the utmost importance. Tebow completed a mere 43.3 percent of his passes in the red zone last season, with a quarterback rating of 65.4. These are not the statistics you expect from a quarterback in the NFL. Yet, with Tebow, many continue to keep the faith. Ignoring the effect of Tebow on Sanchez’s psyche, it is important to realize that he is an upgrade for the Jets as backup quarterback. If Sanchez had gone down last year with an injury, it would have been up to the 41-year-old veteran to lead Gang Green to victory. Woof. Brunell may have been a Pro-Bowl quarterback years ago, but those days are far behind him. A backup quarterback is supposed to be ready if the starter gets injured to take over the team with the ability to win the game. Even with Tebow’s questionable accuracy, he is capable of winning football games. Just ask the Pittsburgh Steelers. For three seasons, the Jets ran a successful wildcat package with Brad Smith, a former quarterback at Missouri. Since Smith left the team last off-season, the Jets have lacked a great wildcat option. When the Jet offense sputtered last season, head coach Rex Ryan told (former) offensive coordinator Brian Schottenheimer to insert more wildcat plays into the game plan. Tony Sparano, the man who unleashed the wildcat on the league while in Miami in 2008, is the new offensive coordinator. He is drooling over Tebow. I am not a football genius, but I have to believe that Ryan and Sparano are better talent evaluators than us fans. Tebow is the ideal man for this type of game plan. Despite his limitations as a thrower, he is undoubtedly an improvement in the wildcat from Smith or Jeremy Kerley. If you do not have the offensive weapons necessary to out-score your opponents, it is best to use trickery. I believe the Jets will do just that with Tebow. Honestly, I cannot decide whether this trade is a good deal or a bad deal. Tebow obviously has not yet suited up for the Jets and will not until early September. Until then, let’s hold-off on the bashing of the Jets’ front office for making this trade. This may turn out to be one of the worst deals in recent memory, but it could also be one of the best. Time will tell who was right and who was wrong, but until that day comes, I am going to kneel down – on one knee – and pray this was a genius move by the New York Jets organization. By the middle of this week, the unthinkable will have happened: Peyton Manning will belong to a professional football team not named the Indianapolis Colts. With the Skins and Jets essentially bowing out of the Manning race, the pool of suitors has shrunken. While the Jets were never really a serious contender, many expected Dan Snyder to open the checkbook in an attempt to lure Peyton to D.C. We can expect the chase for #18 to crank up in the next few days. Now that ESPN has thoroughly provided us with every possible reason why Peyton would and wouldn’t want to go to every single team in the NFL, lets take a look at some of the more realistic possibilities. Arizona Cardinals – The desert boys are the frontrunner, in my opinion. They simply have the most to offer. Larry Fitzgerald is an elite receiver, probably the best in the league. Arizona also offers a young team with an underrated defense. They play in a dome, a key similarity to Manning’s days in Indy. Rumors they won’t spring for Manning because of Kevin Kolb are off. Kolb wasn’t impressive and his contract does not guarantee a significant enough amount of money that they would avoid signing Peyton. The biggest obstacle for the Cardinals will likely be convincing Manning to have faith in the team’s questionable offensive line, which it will likely look to bolster with its No. 13 overall pick in next month’s draft. Miami Dolphins– The popular frontrunner in the media, Miami also has plenty to offer. Brandon Marshall, although not Fitzgerald, is a great receiver. Jake Long provides rock-solid blind-side protection at left tackle. Reggie Bush provides a solid pass-catching option out of the backfield. Their defense also was pretty solid last year, lead by linebacker Cameron Wake. But there are a few aspects of South Beach that Manning might not be crazy about. One is the manner that the franchise has been run under the current front office’s regime. Another is the team’s division, including two head-to-head match-ups with Tom Brady and the Patriots every season. There are other potential issues worth considering. Will new coach (and former Green Bay offensive coordinator) Joe Philbin be willing to put his offensive system aside and give Manning the reigns? We suspect this Manning pursuit is driven more by owner Stephen Ross than Philbin and general manager Jeff Ireland. In the end, former Green Bay backup Matt Flynn makes the most sense for the Fins. 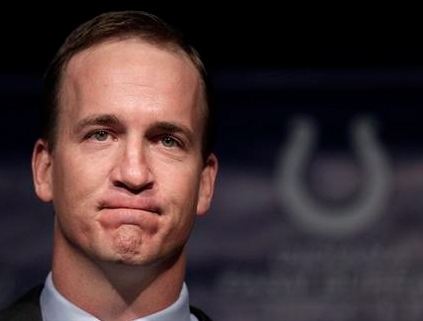 Denver Broncos– Make no mistake about it, Broncos management will be pushing hard for Manning to sign with them. Denver finds themselves in a bind. They don’t think Tebow is their franchise QB, but his unwavering popularity won’t allow them to trade, release or even demote him unless a more worthy suitor is present. Enter #18. This would provide a better QB to soften the PR hit that Denver would take for ditching Tebow. Denver has a solid defense and run game already, so Manning could make this team extremely dangerous. Manning is also friends with Elway and John Fox, probably the reason he visited the Broncos first. However, unlike the Cards and Fins, there is a lack of explosive weapons in the Denver offense. Additionally, Manning might be less than thrilled about playing home games in the Mile High cold after a career playing inside a dome. Kansas City Chiefs – Shadily one of the best fits for Peyton. The Chiefs almost took the AFC West crown last year despite the Todd Haley debacle and the early loss of stud RB Jamal Charles. The players really responded to interim head coach Romeo Crennel once he took over, resulting in him being named head coach this off-season. The Chiefs can offer an elite talent in Charles (assuming he is fully healed), a solid receiver in Dwayne Bowe and a young defense that is only getting better. They have a ton of cap room, are apparently not sold on Matt Cassel and have yet to re-sign Kyle Orton. So why wouldn’t they make a play for Peyton? He would undoubtedly turn them into a Super Bowl contender. To land Manning, the Chiefs would have to sell him on the team’s suspect offensive line and also hope Manning is willing to stand the Kansas City weather in exchange for one of the league’s best home-field advantages. Seattle Seahawks– Seattle is another intriguing team with solid home-field advantage, but I just don’t see them signing Manning. They lack offensive weapons. The run game is solid, but Marshawn “Beastmode” Lynch likely played the best season of his career last year. Sidney Rice has yet to show even a slight glimpse of being worth his contract. They also play in an outdoor stadium. Bright spots include a solid defense and an enthusiastic crowd that would undoubtedly embrace Peyton. The NFC West is fairly weak, although San Francisco looks to be changing that. Head coach Pete Carroll would have to pull off his best work yet to land the biggest recruit of his career. San Fransisco 49ers – Committed to Alex Smith for some reason, but would be Super Bowl favorites with Manning. Houston Texans – Not happening, but also would be Super Bowl favorites with Peyton. New York Jets – Just re-upped with Sanchez. Tennessee Titans – Don’t see it with Locker locked in as the QB of the future and Hasselbeck there in case Locker needs another year to learn. Washington Redskins – Just mortgaged the franchise on RGIII. Author R. ByrnesPosted on March 10, 2012 March 12, 2012 Categories NFLTags SportsLeave a comment on Who Will Mann Up? 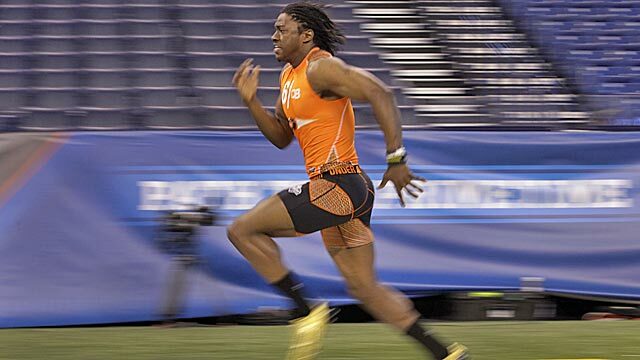 After an epic combine performance that exceeded even the highest of expectations, reigning Heisman Trophy winner Robert Griffin III is the talk of the NFL as teams prepare for April’s draft. Once the Mothership confirmed that the St. Louis Rams will be selling the No. 2 overall pick, speculation has swirled as to which team will make the move to grab Griffin after the Indianapolis Colts presumably draft Andrew Luck with their first overall selection. Yi! News’ resident NFL analyst Austin O’Malley explores five possibilities, including which franchise we see as a dark horse to land the Baylor stud. 1. Cleveland Browns (No. 4 overall pick) – On the surface, the Browns seem to be the front-runner, with a pair of first round picks (No. 4 and No. 22) giving them flexibility most other franchises cannot match. However, reports out of St. Louis cite sources within the Rams’ organization claiming that the Browns are unwilling to part with the No. 22 pick. If that’s true, the Browns have a decision to make: stick with Colt McCoy and use the pair of first rounders to continue to build around him, or go all in on RGIII. If Cleveland is truly sold on Griffin, we don’t see how they don’t make a deal for the Heisman winner. 2. Washington Redskins (No. 6 overall pick) – The St. Louis Post-Dispatch also reports that the feeling within Rams’ headquarters suggests that the ‘Skins are the favorite to land the No. 2 pick. Washington owner Dan Snyder has never shied away from making headlines and a young talent like Griffin would give the ‘Skins their most promising QB situation in a decade. We tend to favor the idea of Snyder throwing a ton of cash at Peyton Manning rather than trading up for RGIII. However, when it comes to Snyder, nothing would shock us – including the possibility of him sending St. Louis first round picks in 2012 and beyond in order to finally land a QB they can build around in D.C.
3. Miami Dolphins (No. 8 overall pick) – After a surprisingly stellar season by QB Matt Moore, the Dolphins might be more reluctant to pay a significant price for RGIII. But it’d also be surprising for them to be sold on Moore as a franchise QB. Expect the Fins to at least kick the tires on a potential trade, but we’d count on them being more of a player in the Manning sweepstakes rather than the Griffin game. 4. Kansas City Chiefs (No. 11 overall pick) – This is a darkhorse, but don’t be shocked if the Chiefs make a play. Head coach Romeo Crennel has been sending mixed signals about backing QB Matt Cassel as the franchise QB, first saying Cassel would enter next season as the starter but later saying he would have to compete for the job. If the price is right, the Rams could be keeping the No. 2 pick within Missouri. 5. Jacksonville Jaguars (No. 7 overall pick) – The folks over at ProFootballTalk suggest that the Jaguars may be a surprise candidate to trade up for Griffin, but we don’t see it. QB Blaine Gabbert struggled during his rookie season, but he deserves at least another year with some improved talent around him before the franchise admits defeat on their 2011 first round selection. The Jags have more needs they should seek to address in the draft. Trading up to take a QB in the top 10 for the second consecutive year does not make much sense. Austin is a pro football analyst for Yi!. When he isn’t too busy crushing happy hour at D’Jais, he can be found dominating your local fantasy football league.